The Russian ship movements have stolen the show from the actions in Eastern Mediterranean. So it is time again to focus to that region. Today between 9.00 and 13:00 the French Navy conducted a search and rescue exercise with Cyprus. The Cassard class, destroyer D-615 FS Jean Bart took part in the exercise. 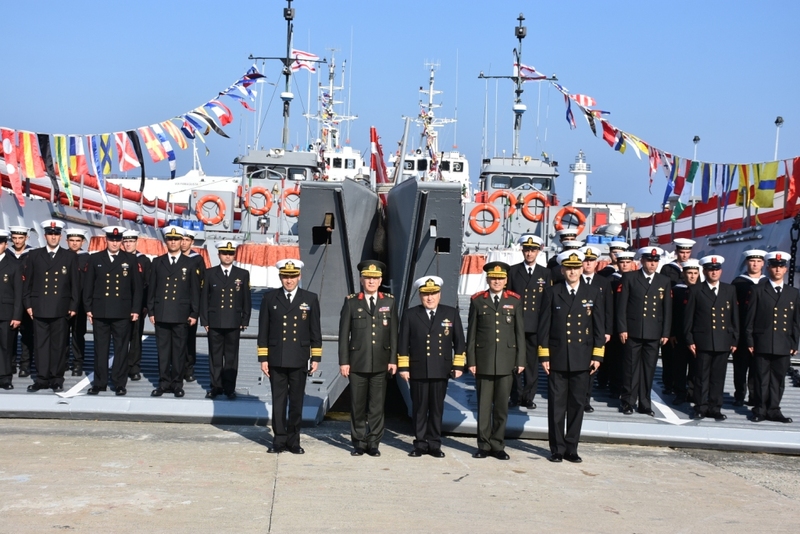 From Cyprus two AW -139 helicopters of the National Guard and the Police as well as a Navy vessel and a patrol boat have taken part, including the medical unit of the Larnaca Civil Defence rescue team, according to Farmagusta Gazette. The French destroyer is scheduled to conduct a port visit in Novorossiysk from 23 to 26 April. Thus I believe she is heading north as you are reading this post. I didn’t realized that Jean Bart went through a modernization process similar to Turkish MEKO 200 class frigates. The original French radar DRBJ 11B was replaced by 3D Smart-S Mk2. Next week there will be another search and rescue exercise roughly in the same area. The Ministry of Defense in Cyprus announced that in the context of the cooperation between the Republic of Cyprus and the State of Israel in matters of search and rescue within the Exclusive Economic Zone and the areas of responsibility for search and rescue of the two countries, a joint search and rescue exercise will take place on April 23. The exercise will be carried out in a marine area southwest of the Cypriot city of Limassol. On the Cypriot side, patrol vessels of the Cyprus Port and Marine Police and of the Cyprus Navy, search and rescue helicopters of the Police and the Aviation of Cyprus, as well as the Medical Rescue Teams of the Cyprus Civil Defense and of the Medical and Nursing Services will participate in the exercise. On the side of Israel, five ships of the Israeli Navy will participate in the exercise. I am glad to see that despite the recent economical troubles, Cyprus can find the needed resources to conduct these exercises. Since the Trojan War in ancient history, nations were advised to be suspicious of Greeks with gifts. Well this notion is one of the things we can call timeless or classic because what was true thousand years ago is still true today. According to Cypriot website MAXHnews Live, Greece wants to give 3 of the recently decommissioned Votsis (La Combatante IIA or Type 148 ) class fast attack craft to Cyprus for EEZ surveillance and protection of natural gas reserves in the region. The web site claims to have obtained, a multi-page report prepared by a group of officers of the Cypriot Navy who went to Greece and examined the vessels. The report leaves no doubt that the warships that Greece wants to donate to Cyprus are quite unsuitable from an operational perspective and simultaneously posing risks to the safety of the occupants. • The relatively small size and displacement, combined with the old technology have essentially make them unsuitable for the needs of the Republic, having a low range and limited weathering. • Because of advanced age and limited operational capabilities, it becomes impracticable and extremely costly to any idea for further use. • The marginal tonnage, prevents it from adding any additional weapon or sensor system. • They have extensive corrosion to steel hulls and structural problems in the aluminum superstructure. The eventual recovery of these problems because of outdated technology vessels would, except for a very long period of immobility and export of main engines, axles, etc., which will be sky high costs. • Has ceased long The construction of the main engine flying boats and there is now a serious problem of spare parts. Greece has for several years had resorted to the use of imitation rather than genuine parts, so the damage is very common and usually severe. Because it is an old design, they require frequent and extensive maintenance and even by specialized teams using special instrumental equipment. • Given that Greece had decided long decommissioning, these boats are very fatigued, with large excess (more 50%) of hours, without the mediation of overhauls. • Some of the vessels flying missiles Harpoon (U.S. origin) and an Exocet. The type of missile Exocet, is older model than those available in the Republic arrays homing missiles land and with time have sufficient balance operational life. • Both the guns (76mm and 40mm respectively) have extensive damage and bring about much limited remaining shots, with time. • The radar is old with limited opportunities and lack of spare parts. It is characteristic that the manufacturer has now closed. This must be a crappy situation for the Cypriots. I mean, if they cannot trust the Greeks, who on earth, is there left to trust? How about the French? 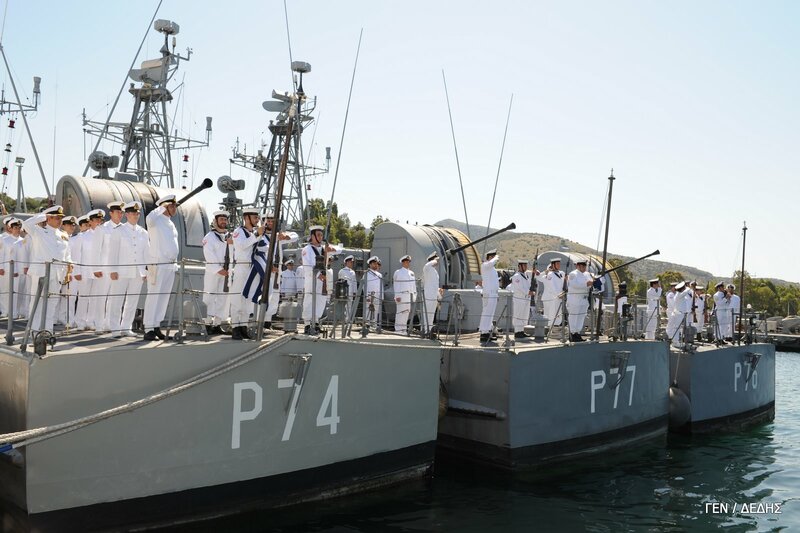 For further reading: Greek Navy Said Farewell to 3 Fast Attack Boats.